IWA Birmingham, the Black Country and Worcester branch meetings 2013 – 2014. I have put these meetings (all at Hawne Basin) into the diary. 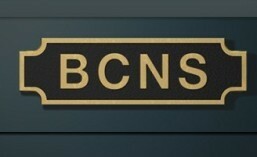 You can find them in this link, along with everything else in the diary or if you only want to see the non BCN Society items in the diary, use this link. All are welcome – IWA members and non members. Posted in Meetings. Tagged BCN, Black Country, Hawne Basin, IWA, Social meetings, Worcestershire. The tug “Joanna” with the BCNS joey “Crow” full of rubbish from the Soho Loop, along with some of those often found guilty of helping out. The work party on the Soho Loop was a major success – much rubbish and scrap metal retrieved from the canal bed. Some idea of the quantity and nature can be seen from the contents of the joey “Crow” . Posted in Work Parties. Tagged BCNS, Canal, cleanup, IWA, Soho Loop.